A trip down to the Italian Hill right here in St. Louis, MO., is always an adventure. You will find everything Italian; bread, cookies, pasta and the best Italian Sausage ever! 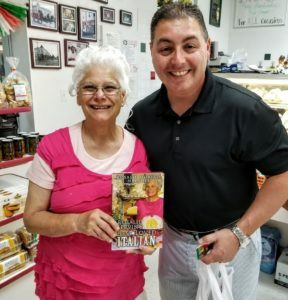 I always love to hold bood signings there and share my Rosalie Serving Best Loved Italian cookbook with everyone I can.